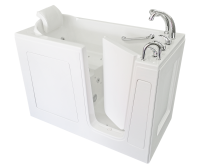 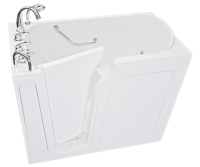 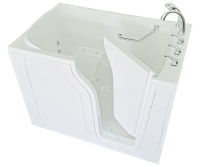 The Bliss Tubs Model B3054 is a roomy walk-in tub that works well for most walk-in tub bathers. 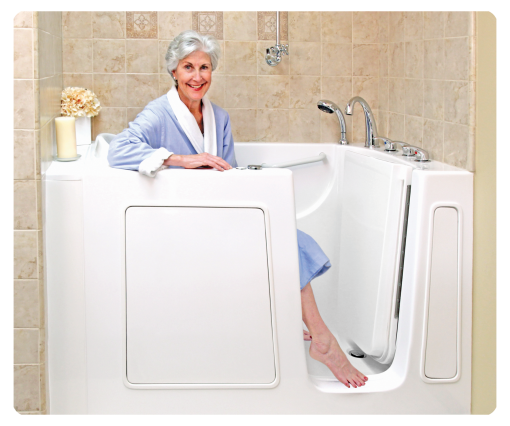 It is without question our most popular model, making up almost 50% of all Bliss Tubs walk-in bathtubs installed nationwide. 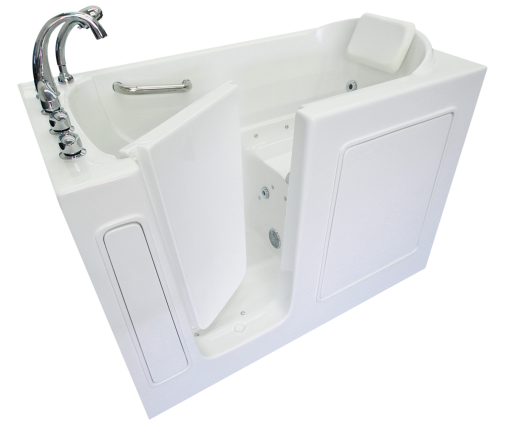 The B3054 has generous leg room and armrests optimally positioned for your comfort. 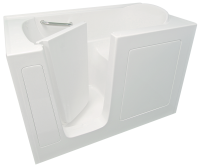 This model comes with a 6-inch wide extension kit which can fill in a 60-inch space or cut to tailor the fit to less than 60 inches. 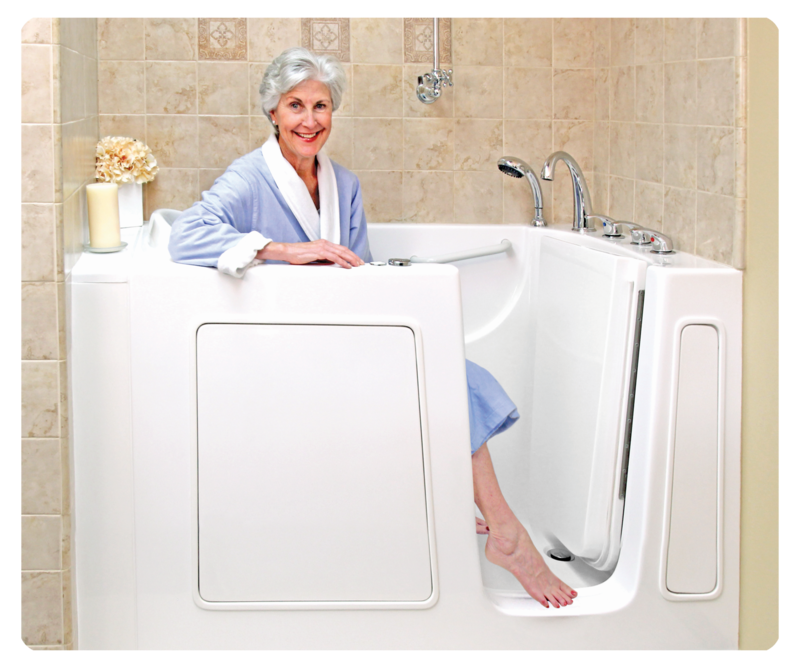 The B3054 will also fit through almost any doorway, hall or stairwell and can be easily maneuvered inside most bathrooms.